Deep in the heart of Albany’s farmland, on a stretch of highway that can take you from Greene County to Schoharie County without even a single sniff of the New York State Thruway, there’s an old dilapidated upright organ. It looks like it’s seen better days. No, it looked like it had seen better lifetimes. This organ was busted up ten ways to the refrain. And it was right there, sitting there on a sunny day, waiting for me to take its picture. 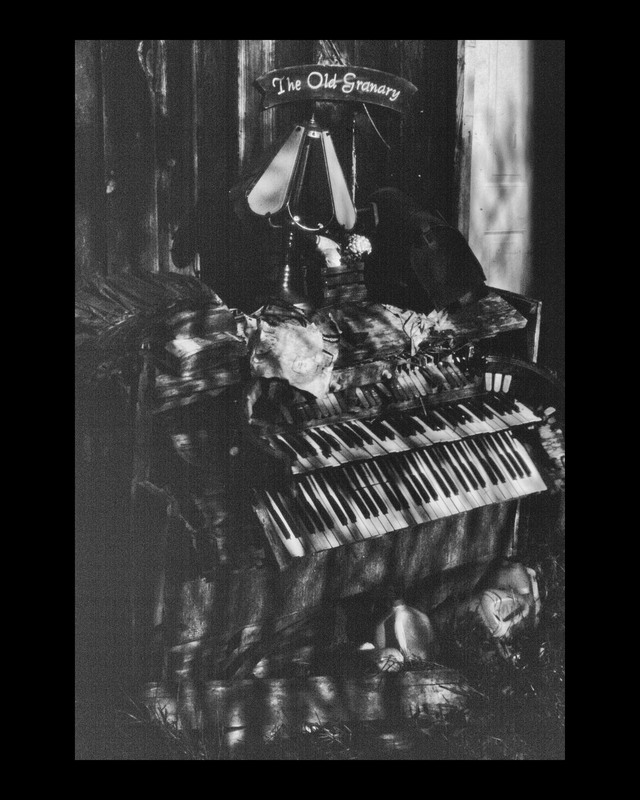 I captured this organ a few years ago, but it was on expired infrared film and the photo turned out rather ugh. I gotta get a better picture of this. Gotta keep trying. Never give up. What’s in my car right now? I gotta get a good photo of this. Did I bring the Nikon Df? Nope. Left it at home. Do I have Kodak Red? Do I have the Rolleiflex? Do I have Leica Green? Nope, left it – oh wait, yes I do have Leica Green. And it’s loaded with – I think I put in some Fuji Velvia 50 slide film. A few shots here and there … and now I wait for the film to develop. If you don’t C♯ you will B♭. Leica M3 camera, Fuji Velvia 50 film flipped to black and white. (c) |Chuck Miller, all rights reserved. Well, I did pull this one out of my earlobes. It’s better tahn my last attempt to get this picture … but it’s not the best I can do. I will improve the next time. I can almost hear the introduction to Phantom of the Opera! I love the photograph. Thanks for sharing.